Space station astronaut Kjell Lindgren said Tuesday he and commander Scott Kelly are big fans of Andy Weir’s book “The Martian,” adding they’re hopeful NASA will beam up a copy of the Ridley Scott movie as soon as it’s released. 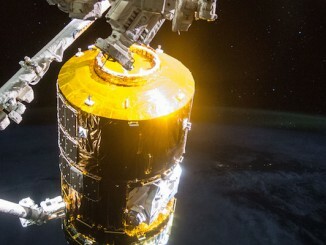 Photos captured by astronauts on the International Space Station show a Japanese cargo freighter, covered with reflective solar panels and golden insulation, on final approach to the 250-mile-high outpost. 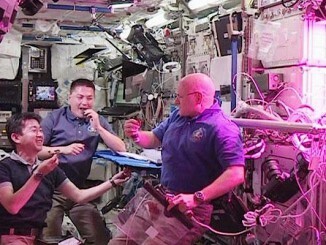 Amid a Russian spacewalk to carry out routine maintenance and inspections outside the International Space Station, two NASA astronauts and a Japanese crewmate staged a culinary first in orbit — harvesting and eating a few leaves of leafy, space-grown red romaine lettuce. 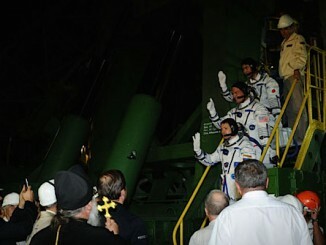 Check out photos of Wednesday’s middle-of-the-night launch of a three-man crew from the Baikonur Cosmodrome, kicking off a six-hour journey from Kazakhstan to the International Space Station. 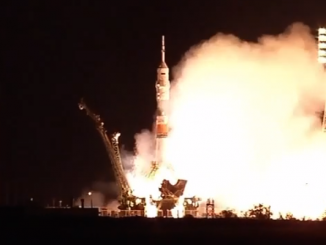 A Russian Soyuz rocket thundered to life with a burst of flame and shot away from the Baikonur Cosmodrome in Kazakhstan Wednesday carrying an international crew of three aloft on a six-hour flight to the International Space Station. 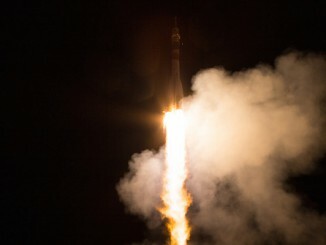 Three new space station residents blasted off Wednesday on a fast-track six-hour pursuit of the orbiting research complex, kicking off five months in space. 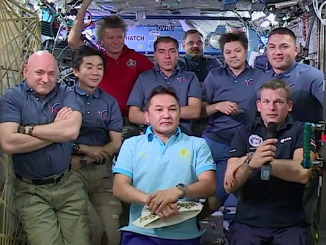 The U.S.-Russian-Japanese space crew lifted off at 2102 GMT (5:02 p.m. EDT) from the Baikonur Cosmodrome in Kazakhstan, and docking occurred 0245 GMT (10:45 p.m. EDT). 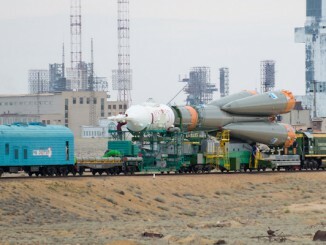 A three-stage Soyuz booster rocket, capped by a three-person crew transport capsule, rolled out to a launch pad in Kazakhstan on Monday, two days before blasting off with new residents headed for the International Space Station. 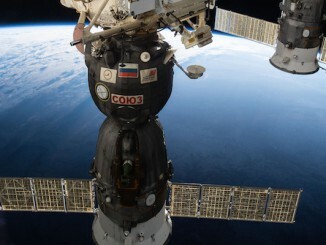 The next three-person crew will launch to the International Space Station sometime between July 23 and July 25 after a two-month delay triggered by the failure of an unmanned Progress resupply mission in April, Russian officials said Tuesday.